Bail Bond Company Lynchburg: What Happens In A Bail Hearing? 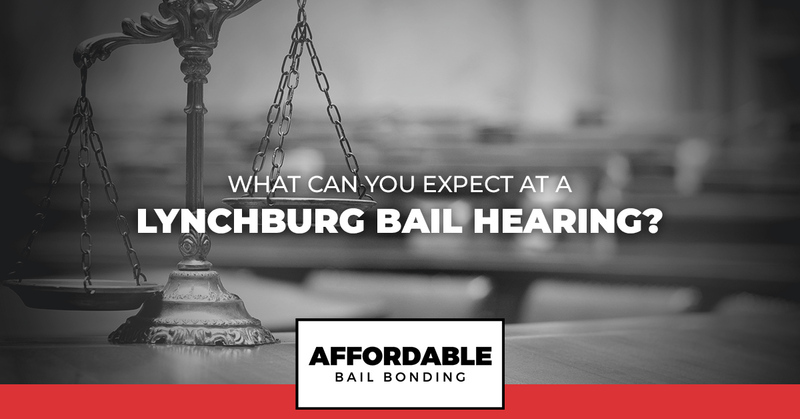 What Can You Expect At A Lynchburg Bail Hearing? Prior to having to show up for your court date, it can be nice to know a little bit more about to expect. These are, of course, things like what the purpose of the hearing is, who will or can be present, what sorts of issues that are going to be addressed and what you are expected to do as the defendant. Having a better idea of the different elements of a bail hearing can not only assist you to get a better outcome but it can also just help to ease some of the anxieties that come with having to sit before a judge. As bail bondsmen in Lynchburg, we don’t have to do much besides wait for your hearing to occur to offer our services. However, getting to jail is just the first step for you as the defendant. Continue reading below to uncover a few things you should know before you head to your bail hearing. A bail hearing is a process of the court during which a judge will decide whether or not the defendant should be allowed to post bail and be released from jail leading up to his/her day in court, as well as during said trial. What is the Purpose of a Bail Hearing? The entire purpose of this hearing is to inquire whether or not the defendant is likely to try and skip town before their trial takes place. This hearing also is where the judge will decide what amount of money (if any) the defendant must pay in order to be released on bail. Who is Present at a Bail Hearing? For the most part, since the judge is presiding over the decision, there typically is no reason at all to have a jury present. The defendant will be present, as well as the defense attorney (if already issued). Additionally, spectators are also welcome in most hearings. What Determines the Outcome of a Bail Hearing? It is your responsibility as the defendant, and the responsibility of your attorney to give enough evidence regarding the factors listed above. The most proof you have that you are not a flight-risk, the better the chances are that you will be allowed out on bail. In the case that you are granted bail in your hearing, we would suggest that you contact us as Affordable Bail Bonding immediately. Our team of professional and discreet bondsmen know how to get you out of jail fast once the bail amount has been set and that is precisely what we will do. Call us today to learn more about how we can help you or a someone you love after they have been locked up.